The Suzuki household encounters a crisis! When they wake up in the morning, all the electrical appliances have stopped! They assume it’s just their house, but soon find out the outage has occurred everywhere, not just in appliances, but also in trains, cars, gas, and water systems. There are no phones with which to make contact, or trains to ride to work. They think they can get by putting up with it for just one day, until another day passes, and yet another. It’s then that the father, makes the decision of a lifetime: “We’re going to escape from Tokyo!” Is there a future for the family in this world denied all electricity?! Can a failure of a father protect his family?! 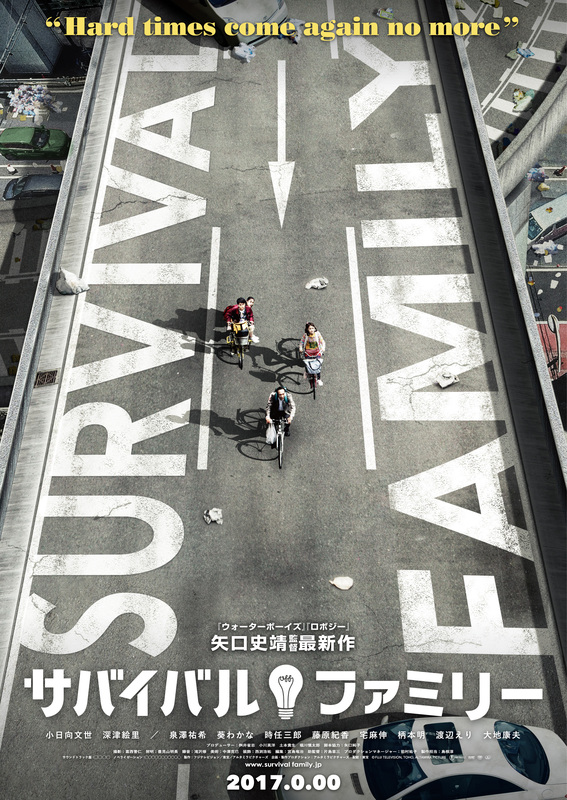 The curtain rises on the survival life of the Suzuki household! Posted in Comedy 2017, Drama 2017.